David Beckham and Brooklyn show off matching rings in sweet father-son Instagram photo. 6. 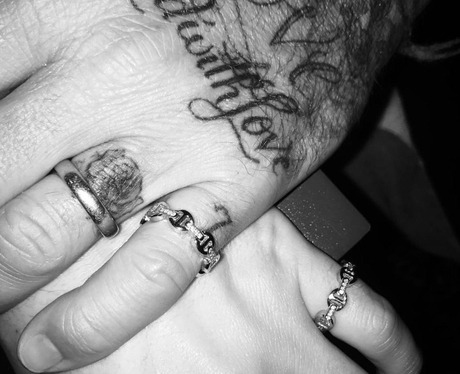 David Beckham and Brooklyn show off matching rings in sweet father-son Instagram photo.